Think for a moment about the various assets and products used for patient care in a hospital. From the blood bank, to the pharmacy, the OR, and even the clinical labs, maintaining proper, regulatory-recommended environmental conditions of the consumable products is a top priority. Remote environmental and temperature monitoring is essential to ensuring mission-critical assets are kept under proper storage conditions, meeting regulatory guidelines, eliminating product loss, ensuring patient safety and improving staff productivity. 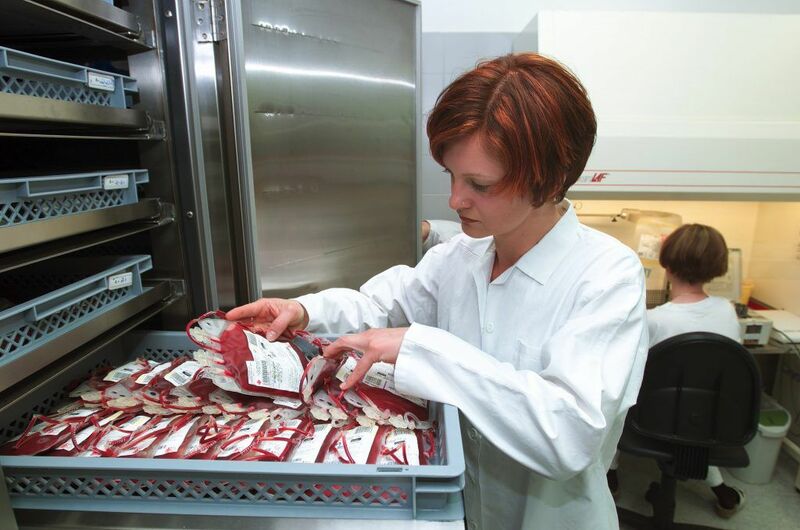 For facilities with onsite blood banks, environmental monitoring can be used to ensure precise temperature and humidity conditions are maintained where blood is stored and that the temperature meets AABB standards. This solution can also be used to ensure that all pharmacy products and medications are produced under recommended conditions and that vaccines are maintained at temperatures that are recommended by the Centers for Disease Control (CDC). In October 2014, a research center in New Jersey failed to properly refrigerate Parkinson’s disease samples rendering them unusable. The biospecimens, which must be kept at -79 degrees Celsius, thawed completely after an employee accidentally left the freezer door open. Had there been a temperature monitoring solution in place, the facility would have known immediately that there was a compromise to the storage container and the disease samples wouldn’t have been lost. A facility that implements an environmental monitoring solution can meet compliance standards and prevent product loss while improving workflow. With the added advantage of recording and tracking data remotely, the need for manual reporting is eliminated. Customizable and automated reports, which can be pulled for any time period, are generated in just a few seconds. An advanced temperature monitoring solution can more effectively manage costs and equipment conditions. Wherever temperature and humidity play a critical role in your facility’s day-to-day operations, environmental monitoring can ensure all hospital equipment and healthcare materials are safe for patient use. Whether it’s by safeguarding valuable reagents and time-sensitive diagnostics test results in the laboratories or tracking in-transit transplant tissues and organs, environmental monitoring will ensure that when your staff or patients need an asset, it is safe and ready to use. Preventing surgical infections when patients are in the operating room is fundamental. Due to the danger of wound sepsis, it’s important for hospitals to control operating room conditions. Some of the biggest culprits of sepsis infection are inadequate ventilation systems and airborne contamination. In order to minimize infection risks for patients undergoing surgery, it’s crucial for only clean air to circulate in the operating room– if air from other areas of the hospital entered the OR, there would be a large contamination risk due to many airborne illnesses and infections. By implementing an environmental monitoring solution, hospital personnel would immediately know if there was an issue with the OR’s air pressure differentiation. Rather than having to deal with a possible contamination after the fact, they would receive an alert and immediately move the patient into a disinfected area with the correct air circulation to prevent the infection altogether.